What’s next in hardwood flooring? Toronto home design trends are always evolving. While there are elements of classic character forever always associated with hardwood, you can count on beautiful shifts in colour, finish and aesthetics to surprise you with each new year. 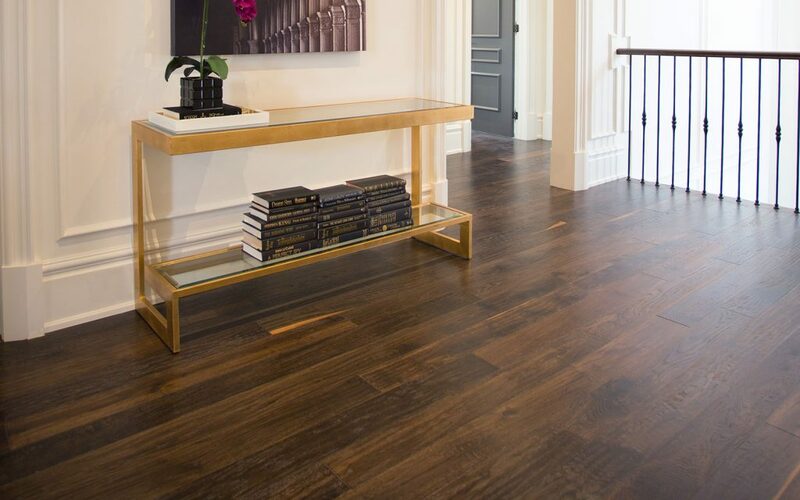 If you want to stay on trend in 2019, Chestnut Flooring offers the hardwood must-have’s for perfect projects. Gray wood floors caused quite a stir a few years ago when their stark and stylish look took over design shows and chic, model suites. Unlike some passing fads, this neutral wood tone is still going strong for the year ahead because it offers the unparalleled capacity to harmonize with any colour accent or room theme. Vibrant furniture and wall colour choices combined with jewelled and metallic tones, pair well with the cool, blank canvass of a gray floor. There’s another crucial benefit of this hardwood flooring choice for Toronto condos and houses; when a fancy for fuchsia or royal blue fades, the accessories can be changed, and your floor will match well with whatever comes next. A fun, new twist on the market is the blackened charcoal look of dark grey wood floors. Shades as deep as jet are typically presented in a matte finish. A sophistication which is surprisingly luxurious and welcoming is complemented by bold furniture and décor pieces, or pale walls and plenty of light. 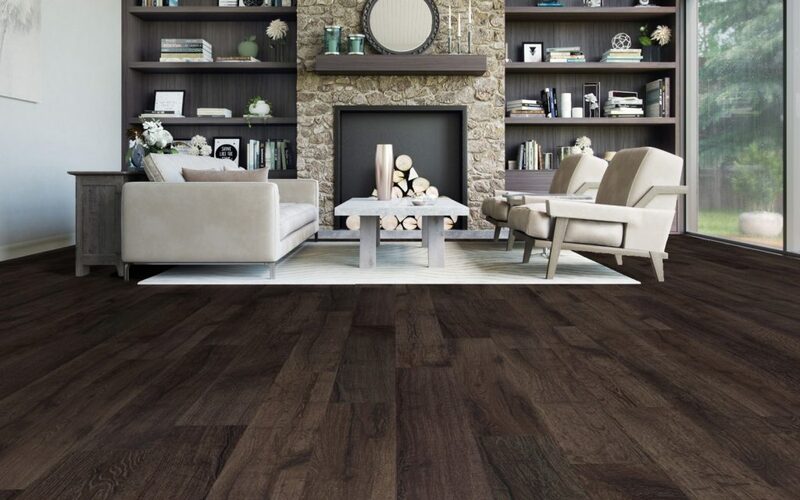 Rich browns are up and coming in hardwood flooring with deep chocolate walnut tones. Walnut,isn’t as hard as some options but always fashionable and elegant in residential or commercial spaces. Are things warming up, or cooling down? The consensus with design trendsetters is that whether dark or light, there’s a strong push away from warm tones (reddish or yellow undertones) and a move toward browns and greys that are neutral and cool. Can you whitewash a floor? Whitewashed hardwood floorsare back in style and often paired with bold, deep wall tones. One of the selling features of hardwood is that it can be refinished and stained according to style preferences that evolve with new seasons. Today’s whitewash tones are matte finished and work best on wood with heavy graining for a complex, artistic effect. It’s best to start with planks that are on the light side to begin with, and use the wash to knock out yellow tones and lend some contrast to your room. If you’d like help considering the available options and choosing your next hardwood floor design, we welcome you to contact the experts at Chestnut Flooring. Come visit our expansive showroom. We carry the latest in hardwood and engineered wood floor options in an impressive variety of colours and styles. No matter your taste or budget, we can help you choose something that will show off the beauty of your space and ensure your décor is fresh for years to come. Should You Steam Clean Your Hardwood Flooring in Toronto?